Mosquitoes, like all animals, show daily rhythms in behavior and physiology. The rhythmic behaviors of Anopheles gambiae include dusk mating swarms, nocturnal flight activity and feeding on sugar and blood-meal hosts and egg-laying. The exclusive biting of humans at night by Anopheles gambiae provides the basis of protection by insecticide-treated bed nets (ITNs) used while people are sleeping. This contrasts with the dengue/yellow fever mosquito Aedes aegypi, which bites during the day and to which ITNs afford no protection. Giles Duffield, Samuel Rund, Tim Hou, Sarah Ward and Frank Collins of the Department of Biological Sciences and Eck Institute for Global Health at Notre Dame are the authors of a paper describing the new findings, which appears in this week’s edition of the Proceedings of the National Academy of Sciences. The Notre Dame researchers, led by principal investigator Duffield, undertook a gene expression analysis of adult female Anopheles gambiae, which were sampled every four hours over a 48-hour period under both environmental light-dark cycles and under constant dark conditions. The researchers used DNA microarray gene chips to look for time-of-day specific changes in gene expression. This is the first global gene expression analysis of Anopheles gambiae rhythms, allowing exploration of the extent of its biochemistry, physiology and behavior that is under diel and circadian clock control. “Diel” refers to a regulation controlled by the daily alternating light-dark cycle, and “circadian” to daily 24-hour rhythmic cycles regulated by an organism’s internal molecular clock. 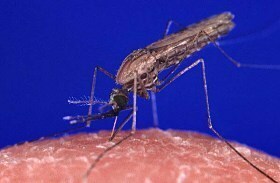 A total of 2,095 genes were discovered to be rhythmic in either the mosquito head or body and under diel and/or circadian control, which amounts to nearly 16 percent of the Anopheles gambiae geneome. 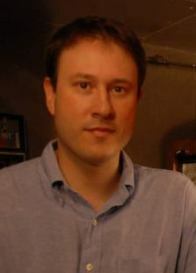 In many cases, genes were rhythmically expressed specifically in either the head or the body, and covered a wide range of biological processes, such as metabolism, detoxification, immunity, vision and olfaction, and they can serve as the basis of novel malarial control strategies and optimization of existing approaches. For example, the data highlight the likelihood for Anopheles gambiae to exhibit rhythms in sensitivity to chemical insecticides, such as pyrethroids and DDT, which is an important finding for maximizing exposure of the mosquito to insecticides in relation to the time of day when they may be most susceptible. Additionally, the data on rhythms of the mosquito’s immune system highlights the possibility that the malaria parasite (Plasmodium) may not only be responding to the temporal availability of biting Anopheles gambiae, but also to daily rhythms in the innate immunity of the mosquito and its susceptibility to infection. Rhythms in immune functions may also be an important consideration for the implementation of biological pesticide control measures. Rhythms of genes associated with the sensory modalities vision and olfaction (smell) are an especially interesting discovery. This includes a high proportion of the components of the light transduction cascade of the compound eye, as well as genes encoding odorant binding proteins and the olfactory coreceptor, OR7 (orco), potentially important in regulating sensitivity of the mosquitoes’ smell organs. These rhythms, in turn, may contribute to the time-of-day specific host-seeking behavior of Anopheles mosquitoes, and raises the possibility that mosquitoes may not bite humans during the daylight hours simply because they do not detect their presence during this time. The authors suggest that an insight into biological timing at the molecular level may prove to be key in the successful implementation of malaria control methods and future experimental design. The team has also launched an online database, allowing other researchers to easily view expression profiles of the 14,000 mosquito gene probe-sets that were present in their experiments. The project was supported by Notre Dame’s Genomics, Disease Ecology and Global Health Strategic Research Initiative and its Eck Institute for Global Health and the National Institutes of Health/National Institute of Allergy and Infectious Diseases (NIH/NIAID).